Due to innovative technology, the new, miniature wireSENSOR WPS-MK88 U45R offers maximum service life with approx. 2 million cycles. The sensor measures displacement and position of components and machine parts. Small design and low acquisition costs make the wireSENSOR WPS-MK88 U45R suitable for OEM applications and customer-optimized series designs. This modern draw-wire sensor offers an unrivalled combination of price and performance, robustness, compact design and service life. 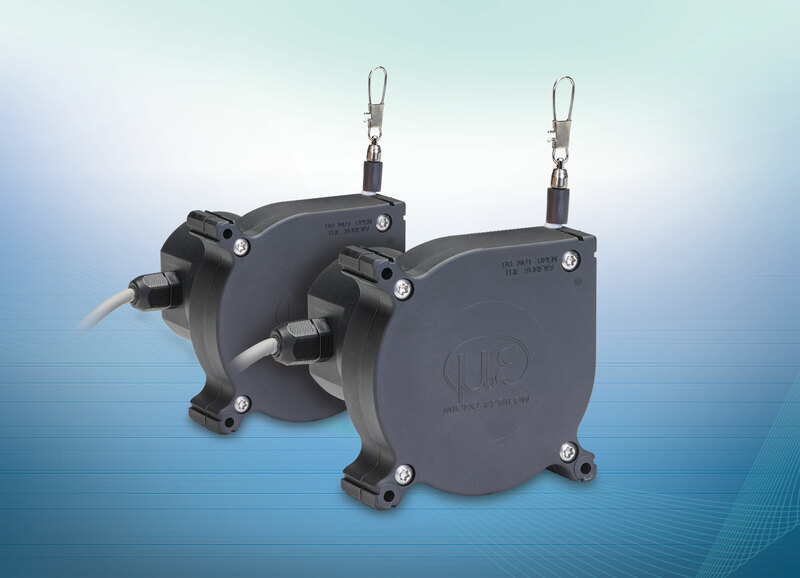 The wireSENSOR WPS-MK88 U45R has replaced the conventional, analog hybrid potentiometer with a non-contact potentiometer. With common potentiometers, a sliding contact (wiper) moves along a resistive element. Consequently, the wiper quickly wears. However, the new, non-contact potentiometer is based on magnetic field sensors that significantly increase its service life. The service life of draw-wire sensors increases by a factor of 8 compared to sensors with conventional potentiometers. To date, only encoders could extend the service life but these are much more expensive. These sensors are used in sectors where high cycle rates are required, e.g. in logistics and for forklift trucks. When lowering the load, normally large safety margins have to be observed, so that when rounding a corner or braking and accelerating, the truck is not put into a dangerous tilted position. If the lift height of the load can be measured, the optimum driving speed can be determined from this. In addition, the system is protected against erroneous operation, i.e. the operator cannot knowingly or unintentionally cause critical driving conditions. Another field of application is machine tools where material must be provided in high cycle rates. In CNC milling machines, a raw part is moved for further processing to a defined position that is measured by the draw-wire sensor. If the draw-wire sensor operates 4 cycles per minute, this adds up to 240 cycles per hour, 1920 cycles per working day and 384,000 cycles per year. With a conventional potentiometer, the draw-wire sensor would already have been worn after eight months. However, the new draw-wire sensor from Micro-Epsilon operates reliably for more than five years due to a non-contact potentiometer.